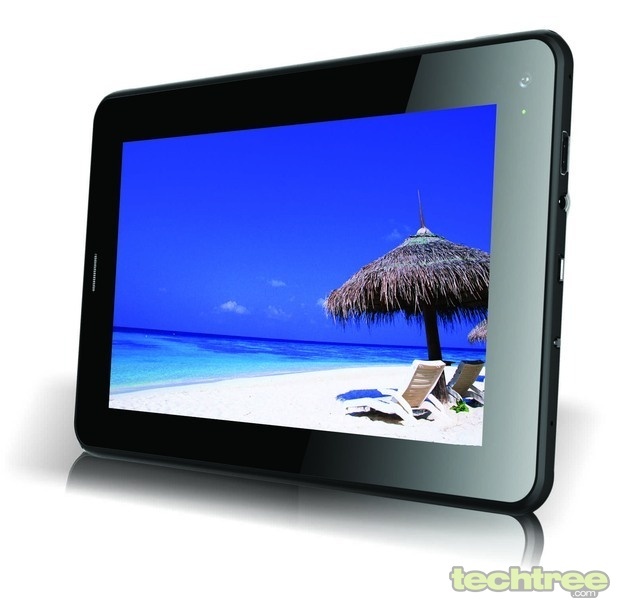 Features 7" Display, 1 GHz processor, 4 GB storage and Android 4.0 (ICS) operating system. Intex today announced a new entrant to its expanding lineup of tablets. Called the "iBuddy Connect", the device features GSM SIM-card support. Under the hood, it features a modest 1 GHz processor coupled with 512 MB RAM, Android 4.0 (ICS), front VGA camera and 2 mp rear camera. The tablet looks like a successor to the iBuddy tablet launched earlier this year. Intex has priced the tablet at Rs 8,000 and as an introductory offer it is being bundled with a leather cover with attached keyboard worth Rs 1500. 1 GHz CPU, 512 MB DDR3 RAM. Lithium-ion polymer battery, 3000 mAh. Intex also claims that it is planning to setup tablet manufacturing facility in India.